Email strategy is crucial to your WordPress blog. But where do you start? This post will show you how to create a winning email strategy. It seems like email is the key to growing your business and building credibility with your audience. It’s a leading strategy used by marketers to grow their businesses and expand their reach. With Statista reporting there are almost four billion email users worldwide, there’s definitely room for you to boost your brand with this medium. Email marketing boasts its benefits, bringing in a $44 ROI for every dollar spent on the strategy. The proof of success is in the numbers, and proves a solid tactic for getting in touch with consumers. That’s only if you’re doing it correctly though. If you want email marketing to have the positive effects on your blog you hear everyone bragging about, you need a solid strategy in place first. It’s not enough to create aesthetically-pleasing emails and send them to however many subscribers you have right now. You need to have a plan. Here’s how to create a winning email strategy for your WordPress blog that’ll have you capturing email addresses in no time. There’s a common misconception out there that you can’t possibly collect email addresses or form connections with potential customers before your website or product launch. However, this simply isn’t true. If you do the research and work beforehand, you may find yourself with new subscribers before your content ever becomes public by marketing your website properly. Creating a coming soon page for your WordPress site is beneficial for so many reasons and is easy to do with a tool like SeedProd, the most popular maintenance page plugin for WordPress. First, it lets visitors know the status of your website, such as when it’ll launch, what people can expect from it, and more. It also encourages visitors to remember your site so they’re present during or shortly after launch to check out all you have to offer. Having a coming soon page in place also gives users an idea of what they can expect from your brand after its official launch. This will help them determine if they’re interested in being a customer. This weeds out the people in your audience who aren’t going to stick around. Marketing your site before launch builds anticipation for your brand, increases your promotion, and jump-starts your email list for growth. You need optin form technology that’s going to integrate seamlessly with your email service provider as well as effortlessly collect and maintain the emails of your subscribers. 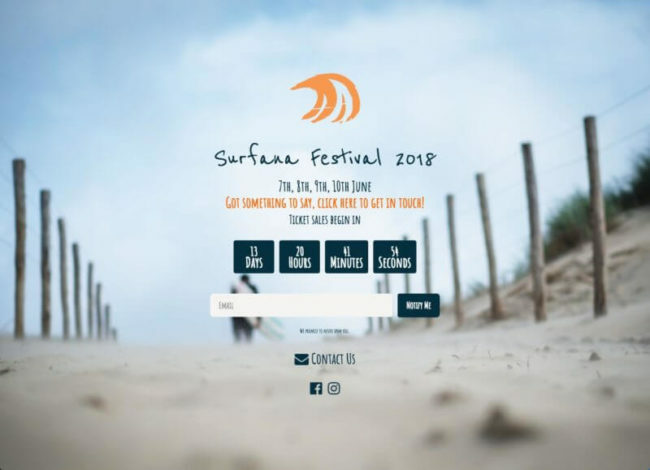 Formidable Forms lets you build powerful, beautifully designed optin forms that will attract the attention of your visitors. 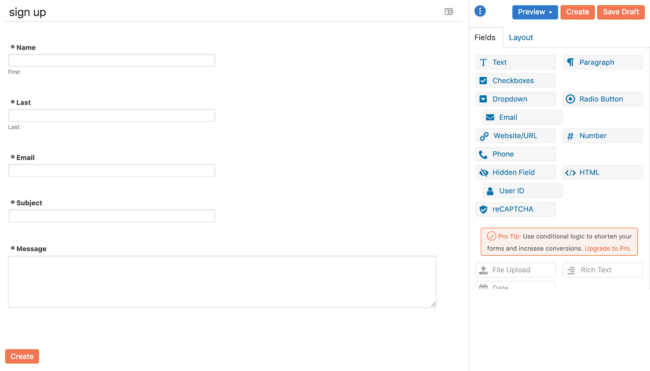 Formidable Forms doesn’t require any extra coding knowledge and uses a drag-and-drop builder. So, creating the forms you want is easy. But it’s much more than just a form builder. It also lets you track and analyze data received from your forms so you can determine what part of your strategy is working and what must be left behind. It’s important to create forms that speak to your audience and urge them to convert. Simply telling them to sign up for something isn’t enough; you have to show them through your content and efforts that giving their email to you is worth it. 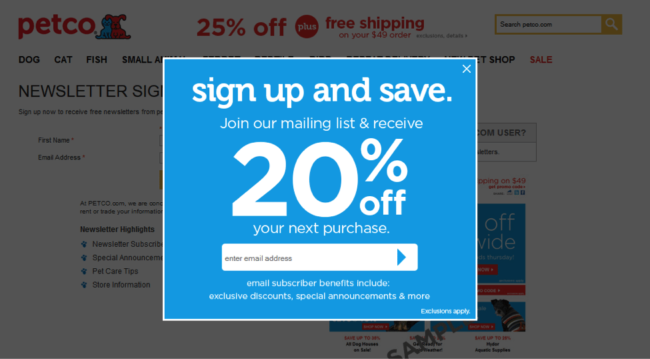 Offer incentives like promo codes or discounts if they give you their email to gain their trust and build a connection. It’s likely that if you run a business or blog, you don’t have a lot of extra time on your hands to boost your email strategy the way you’d like. You’re thinking of the million tasks you have to get done before you can even think about sending your emails out. That’s where automation comes in. Marketing automation occurs when you schedule your content so that it can be published at a certain time without you manually doing so. Campaign Monitor reports that marketers saw a 320 percent increase in revenue due to automating their emails. OptinMonster integrates seamlessly with Formidable Forms, so that automating your email workflow is easy as pie. There are endless benefits to automating your emails. As previously mentioned, it saves you lots of time you could spend taking on more arduous tasks, freeing you up to accomplish more important things. It also keeps your brand in touch with subscribers so they don’t feel like you’ve abandoned or forgotten about them. It looks bad when you promise an email or lead magnet and it never shows up in a subscriber's inbox. You can avoid a crucial mistake like this by taking advantage of marketing automation. There’s no denying what email can do for your blog. Capturing leads can be tough but only if you neglect putting a solid strategy in place. Who says you have to wait to capture leads? Take advantage of your blog’s pre-launch to collect emails of potentials interested in your brand. You’ll need your optin forms to appeal to your audience and tell them why they should sign up. Finally, automating your emails saves you time, money, and frustration. 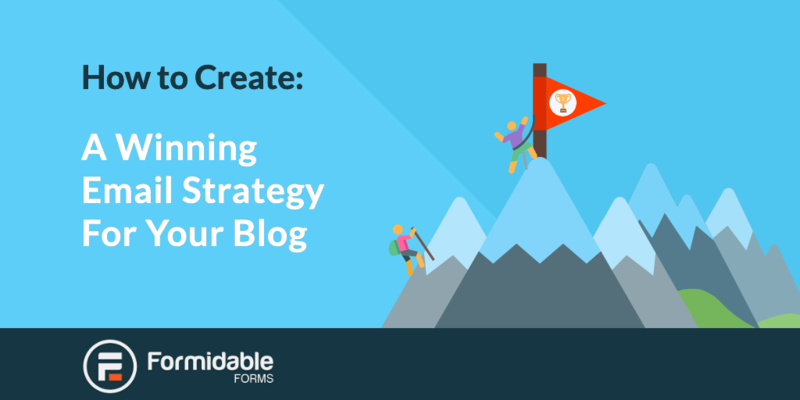 How will you create an irresistible email marketing strategy for your blog? Syed Balkhi is the founder of WPBeginner, the largest free WordPress resource site. With over 12+ years of experience, he's the leading WordPress expert in the industry.